The Culture Centre has the mandate of restoring our Nbisiing dialect and culture and we work to accomplish this through three different streams: Anishinaabemwin, Culture & Heritage. Researching the culture of Nbisiing Anishinabek and reviving these values. 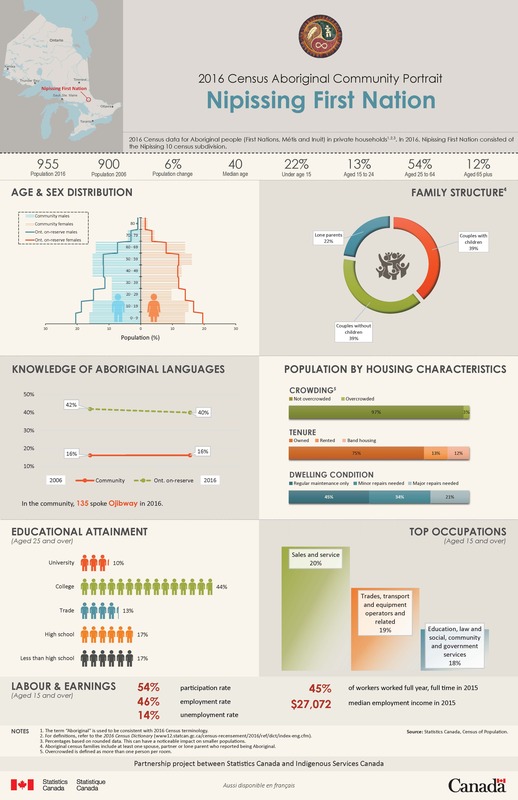 This is done by searching Library and Archives Canada, old historical documents of Nipissing, reviewing old reports where elders were interviewed; and by interviewing elders regularly. Monthly ceremonies and gatherings promote families, spirituality and culture: Full Moon Ceremony, Family Drum Socials, Grandmother Circles with Isabelle Meawasige, and cultural arts workshops. Annual culture events such as: Spring Water Ceremony, Round Dance with the North Bay Regional Health Centre, Anishinaabe Art Show, Memorial Feast (or Feast of the Dead), Clan Gathering, National Aboriginal Day, NFN Pow Wow and Traditional Medicine Camps with Joseph Pitawanakwat. All events are well attended. 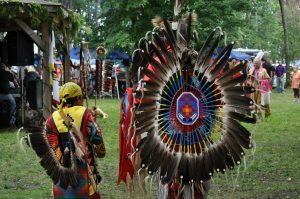 The Culture and Pow Wow Committee works to set guidelines, plan events and volunteer at culture events. 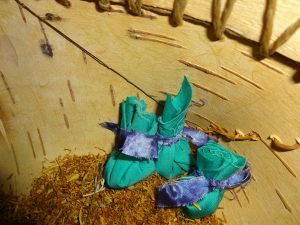 These events, gatherings and ceremonies are very important in reviving our identity as Nbisiing Anishinaabe and empowering our people, many of whom struggle with the effects of inter-generational trauma brought on by harsh assimilation tactics imposed by the government and residential schools. We see firsthand how our young people, and people of all ages, become stronger and empowered by ceremony and teachings. Culture Program Sponsors: Nipissing First Nation, Canadian Heritage, Aboriginal Healing and Wellness, and Ontario Arts Council. At the Culture Centre, researching and preserving our heritage is a high priority. We have been working hard to seek old documents and photos from within the band archives and through elder interviews in order to compile them and share them with the community. Knowing our heritage will empower our people. Compared to the history learned in the school systems, ours is a true history, with elders’ stories backed up by documents from the archives. “Gaa Bi Kidwaad Maa Nbisiing: A-Kii, Bemaadzijik, E-Niigannwang” (The Story of Nbisiing Anishinabek – the Land, the People, the Future) is a book co-authored by Glenna Beaucage, Culture and Heritage Manager and Katrina Srigley, Professor of History at Nipissing University. The Nipissing Warriors 1972 Exhibit is on display at Nbisiing Secondary School and showcases the Nipissing Warriors hockey team, including photos, i nterviews, stories and recordings. It has also been featured at the Hockey Hall of Fame in Toronto. 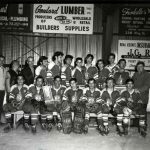 The Nipissing Warriors Documentary highlights the remarkable Nipissing Warriors hockey team, which played from 1965 to 1975, with a focus on Team 1972, which won the first All Ontario Native Hockey Tournament. The documentary has been digitally released and is available on Nipissing University’s website for viewing. The Nipissing Indian Homemakers Club are presently conducting interviews and research to create an Exhibit and story of the historic club. We have recently been successful in obtaining a grant to create educational curriculum of the history of Nbisiing to be used within the school system. 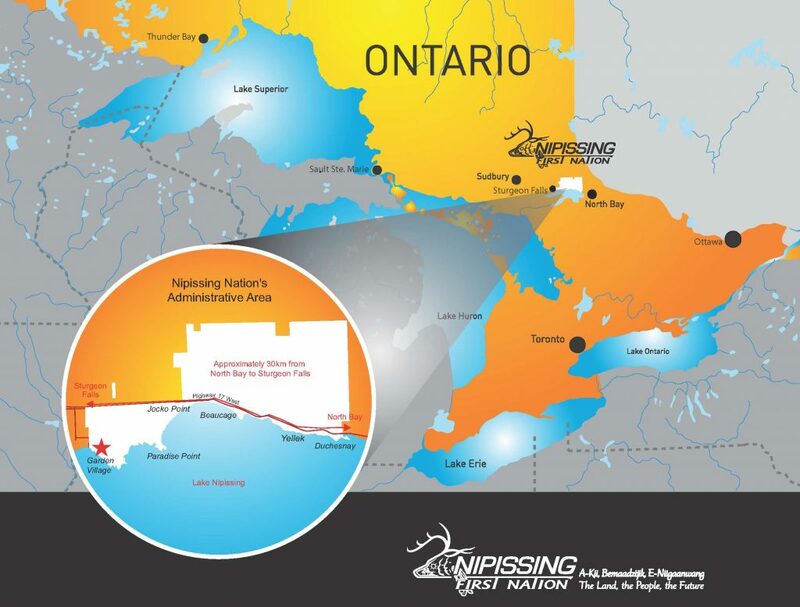 Heritage Program Sponsors: Nipissing First Nation, Nipissing University Humanities Department. Check out the Historical Documents section of our website for more heritage resources, and the Links & Resources page for other helpful cultural information. You may also be interested in following us on Facebook: NFN Culture & Heritage, NFN Annual Traditional Pow Wow & Nbisiing Nishnaabemda.